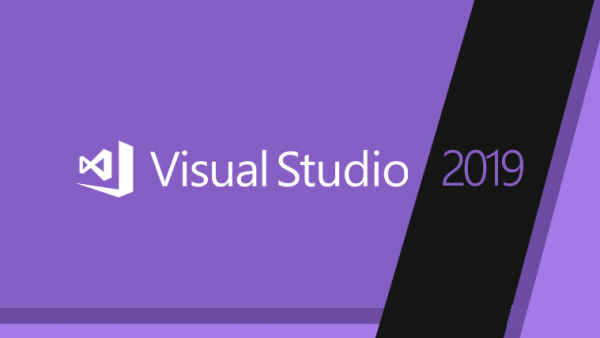 As scheduled, Microsoft has released the production version of Visual Studio 2019. Downloading the Visual Studio 2019 update will automatically start when your machine is in idle, and you will get a notification when the update is ready to be installed. It is easier to clone a Git repo or open an existing project. It is also easier to start a new project through improvements made to the template selection screen. The Snapshot Debugger, for debugging applications in the Azure cloud, adds support for Azure Kubernetes Service and Virtual Machine Scale Set. For debugging, data breakpoints for .Net Core apps help developers break only on value changes they are looking for. For debugging, there is AI-assisted code completion for Visual Studio IntelliCode. Web developers can access hosted repos from Azure devops services through the Start window. Developers can install extensions for other source-control hosts to view repos owned by the developer or the developer’s organization. Updates are downloaded in the background, when the host machine is idle. When downloads are complete, users get a notification that the download is ready to be installed. Performance improvements in stepping and branch switching. Visual Studio Live Share, for collaboration, is installed by default. Live Share can be used for pair programming, conducting code reviews, presentations, or “mob programming” during hackathons. Search has been improved for menus, commands, options, and installable components. A document indicator is provided to understand code file “health,” which developers can run and configure through a one-click code cleanup. Developers can save a collection of code cleanup fixers as a profile, to be run during cleanup. .Net Core projects can be configured more easily with first-class project files. Hot Path Highlighting identifies function calls that use the highest percentage of the CPU or that allocate the most objects. C# and Visual Basic support a Regex parser. Regular expressions now are recognized and language features enabled on them. Regex strings are recognized when a string is passed to the Regex constructor or when a string is immediately preceded with a comment containing the string, Language=regex. Language features included now are classification, brace matching, highlight references, and diagnostics. Developers can preview C# 8.0 language features, such as nullable reference types. CPU profiling is offered for ASP.Net. A single-project experience has been added for containerizing and debugging ASP.Net Web applications and console applications for .Net Core. Visual Studio Kubernetes tools are integrated into the Azure development workload. It is now easier to work with Python environments, with improved support for Open Folder workspaces using a new Python environment selector toolbar. The Search Deeper function has been changed to a dropdown for quickly selecting the depth of initial and subsequent searches. Code style preferences can be applied from the command line with the dotnet format global tool. An empty VSIX Project template has been added, for experimentation. For C++, developers can open CMake caches generated by external tools, such as CMakeGUI or customized metabuild systems. For C++, there is improved analysis via /Qspectre, providing mitigation assistance for the Spectre Variant 1 vulnerability. For F#, performance has been improved. Visual enhancements are offered for building ASP.Net web applications. Visual Studio 2019 automatically downloads updates in the background while the developer’s computer is idle, thus enabling continued usage until it is time to install. Developers only need to wait during the actual installation. The Per-Monitor Awareness preview feature is on by default for users meeting the system requirements of .Net Framework 4.8 and the Windows 10 April 2018 Update. Tool windows such as Toolbox, Breakpoints, and Call Stack now should render sharply across monitors with different scale and display configurations. The blue theme has been updated by dialing down luminosity and contrast. The document health feature has been given a visual upgrade, with developers at a glance able to see errors or warnings in a document. Code cleanup has its own control for quick access to features. For C++ development, developers have access to a fresh version of the Microsoft Visual C++ compiler and libraries toolset (MSVC) that provides binary compatibility with the Visual Studio 2017 MSVC toolset and runtime. For C++, integration with CMake build and test tools lets developers detect Vcpkg tool chains automatically for CMake projects. Developers also can use Just My Code debugging. For Python, developers can switch between interpreters using the new Python Environments toolbar when editing Python files or working with projects or Open Folder workspaces. Developers also can create Visual Studio Live Share sessions to collaborate on Python code. For C#, new C# 8.0 features include recursive pattern matching, for digging into the structure of an object, and switch expressions, a concise version of switch statements. For .Net, refactoring and codefix capabilities have been added such as sync namespace and folder name. For .Net, project files for .Net SDK-style projects are a first-class file type, supporting capabilities such as double-clicking a project node to open a file. For web and container development, Visual Studio Kubernetes tools are integrated into the Azure development workload. For mobile .Net developers using Xamarin, Visual Studio 2019 has improved build performance for developers using Xamarin.Android 9.1.1 or higher. IntelliSense code editing capabilities are improved, via Visual Studio IntelliCode. You can also download Visual Studio 2019 here.